If you live in any area that gets salt and snow, you may find yourself shopping for coil springs at some point. There are a lot of cars that we cover that are specifically susceptible to rust and breakdown related to roadgrime, salt, water, and grease getting ground into a toxic paste on your spring seat. The result is your steel spring bathing in a destructive hyper-condensed salt/grime mix for some serious time, and eventually you break a spring. That’s option one, and when you break a spring you’ll know it. The car will sit weird, and you will most likely have a clunking noise as the original part of the spring that used to be on the seat is now missing. This is not an entirely safe way to drive so if something feels and looks weird, check it out. The second failure mode is that you will have been sitting on the OE springs on your car for so long, that the metal will stretch and the result is a sagging spring. Sagging springs will make your car lower, which is fine. Especially if you’re into that sort of thing. The biggest problem for cars that have been on their OE springs for a long time is that if one of the springs break and you replace it, the rest of the car will sit wrong. We get this all the time, where someone wants to replace a broken spring and suddenly that corner rides higher. 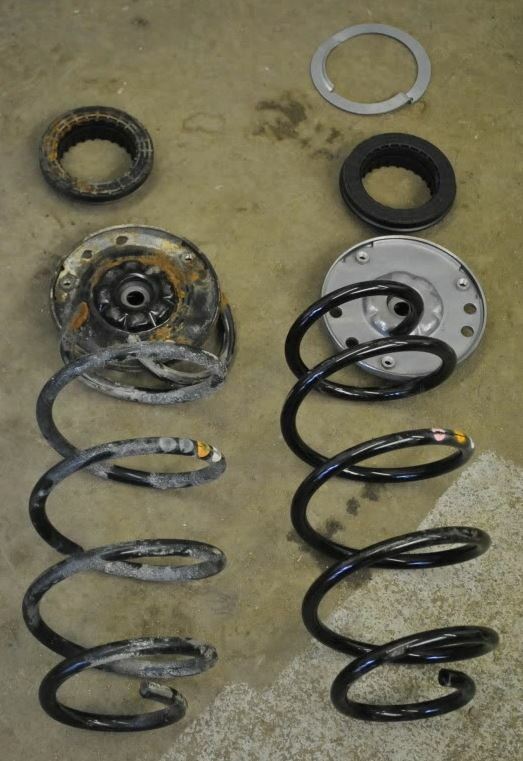 This is why we highly recommend buying springs in pairs, especially for older cars. It’s not a bad idea to replace all the springs at once, that’s the only way to ensure that your vehicle would have a favorable corner balance and the handling would be as new again. Genuine OEM coil springs are exactly what you would get if you went to the dealer. Due to our OEM relationships, we are able to keep prices down, so if it’s Genuine you want, we can get it (if they are still available). 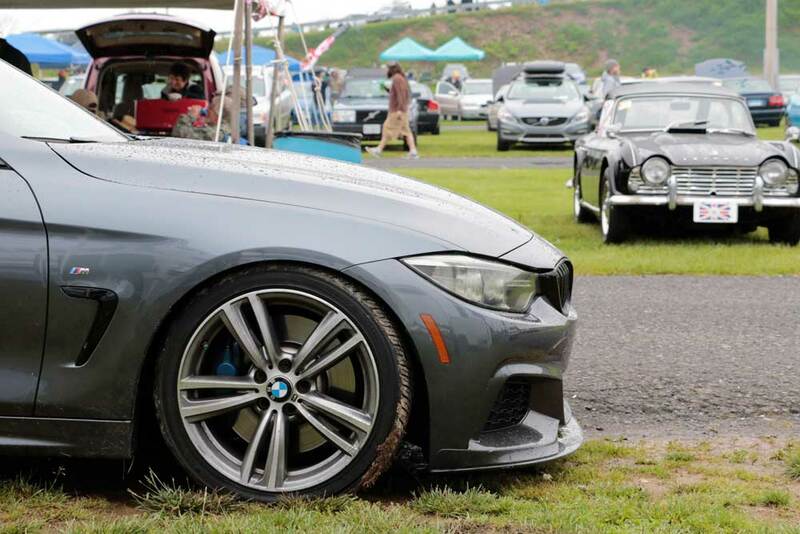 Aftermarket springs are a little bit trickier, and we specifically carry a brand called Suplex. Suplex coil springs are made to exacting OE specification. Unlike other spring manufacturers out there, Suplex does not merge OE part numbers into a single number. Most car manufacturers offer several different coil springs depending on trim level. That means if you have an Automatic or manual, you have air conditioning, sport suspension, a larger fuel tank….all of these can require different numbers. Since they have similar spring rates, some aftermarkets will merge them, and that’s just not right. In several instances, Suplex not only manufacturers coil springs for each individual OE number, they do it on the original tooling that the spring was made. That’s a lot of work, and it’s one of the reasons we almost exclusively carry Suplex when we can. The first has to do with something called a spring isolator sleeve. Spring isolater sleeves are extremely tough plastic that slide around the coil wire. The spring isolator sleeve is designed to reduce noise and cut down on wear due to the coils contacting each other under heavy compression. On cheaper aftermarket springs that don’t have this isolator sleeve, you can get noisy clanging on rough roads, but more importantly chipped enamel. If you chip the enamel off, you will end up with exposed metal, rust, and eventually broken springs. The second has to do with the wire diameter. Modern barrel springs can have different diameter spring wire from the end to the center. This makes the spring progressive. Progressive springs offer a much more comfortable ride by absorbing road imperfections and vibrations in thin small (ie soft) sections of the coil. Then when you have heavy bound and rebound from suspension motion, the larger fatter sections of the spring handle those. These progressive springs with different diameter wires use a specifically shape spring seat, and aftermarket barrel springs that use the same wire width throughout need a different seat. That’s adding insult to injury, and your ride will suffer. Suplex always adheres to the OE design, and doesn’t compromise on quality. The third thing has to do with the overall shape of the spring, which is rarely accounted for in the aftermarket segment. You’ll notice sometimes a spring doesn’t appear to be completely straight. This is by design, and is responsible for small but noticeable character traits in the handling of the car in certain situations. Suplex notes these design features and includes them in the manufacturing of their springs, so you know you are getting a high quality OE spring down to the smallest detail. Of course, if you have broken coil springs, you have a third option as well. 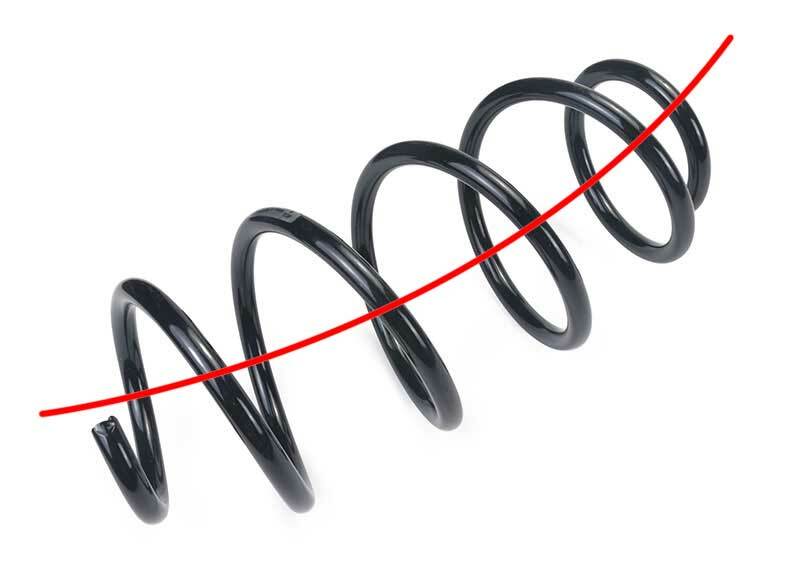 Many customers that have enjoyed the look of their sagging suspension springs will replace them with performance spring options instead of going back to the showroom ride height. My 200k mile car looked pretty good but handled poorly, and when the struts started leaking I decided to go with a pre-built KONI/H&R combo, the results are phenomenal. If you want that lower stance and a slightly stiffer performance oriented ride, then I recommend that option. 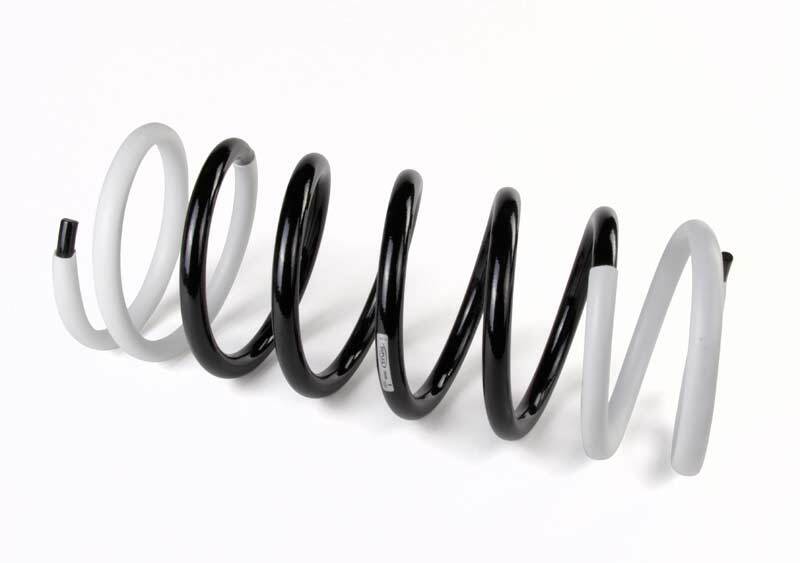 If you are shopping between Genuine OEM springs and Aftermarket (not performance) springs, it’s really important to make sure you have the right spring for your car. Often times, car manufacturers will hit the springs with paint splotches to signify the specific spring installed. If you have 200,000 miles on your car, those paint marks may be under some dirt and grime, but they’ll be there. Check them out before ordering, because we present that information on our product listings whenever possible. We will also ask for the VIN on occasion, since suspension springs are so sensitive to installed equipment. 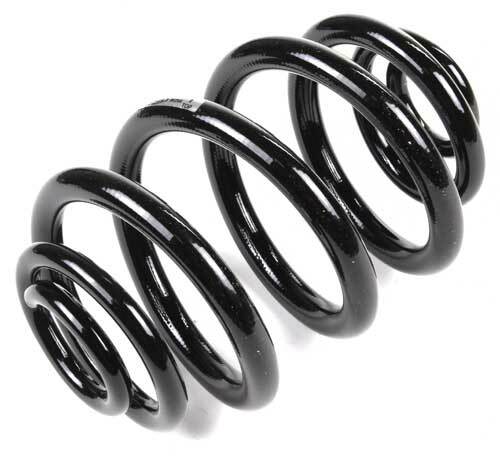 So, the next time you are considering changing a suspension part on your car, check out your springs. Make sure they aren’t rusty, broken or sagging. If they are, visit eEuroparts.com or contact our customer service department with a VIN, we’ll get you all set up!